The situation for animals in the Florida Everglades is dire. Dogs and cats being dumped because they are no longer wanted. Left to fend for themselves in a harsh, unforgiving environment. They often succumb to alligators, snakes, infestations, heat stroke or starvation. Those that do survive, are breeding, recreating the cycle. Many of them picked up by dog fighters to be used as bait animals. But this does not have to be the way. Local government has turned a blind eye. But local residents, many of whom are living in poverty, want to see a change. They love their animals, but let them roam and this leads to more unwanted litters. 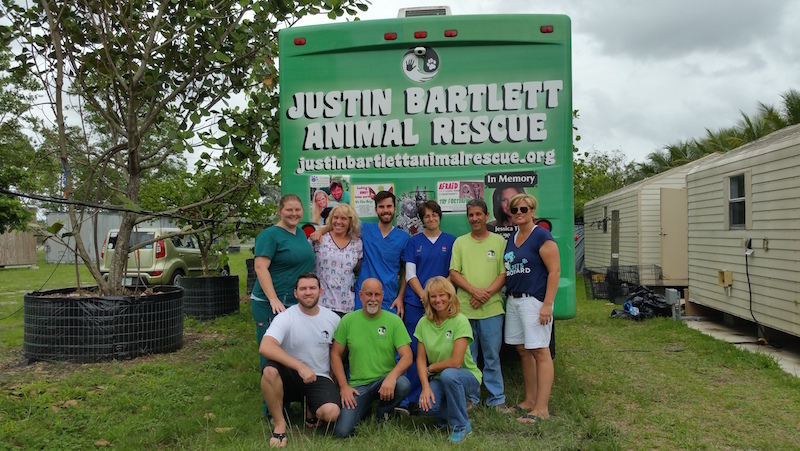 Cold Noses Foundation, along with Pegasus Foundation, Pets Broward and Justin Bartlett Veterinary Hospital, has teamed to form the "Everglades Animals Coalition" . This coalition is team of animal grantmakers and rescuers tackling the problem of unwanted litters and animal dumping in the Everglades. We have begun by sponsoring FREE spay and neuter services in the heart of the Everglades area (Homestead, FL) once per month. Our clinics are full every month and many residents are in shock that anyone has offered these services for free! Many of the locals are unable to afford even the slightest veterinary care for their beloved pets. They are juggling making ends meet and caring for their pets. Many locals pick up the strays to keep them from harm, but cannot afford to spay or neuter them. The coalition has finally provided some relief for these animals. By getting these animals spayed and neutered, we are helping curb the problem of overpopulation and unwanted litters that may eventually end up suffering. The plan of the coalition is to continue the spay and neuter and eventually add more services and outreach programs to help the community care for their animals in a safe and effective manner. Big thank you to our in-kind sponsors 1 800 Pet Meds, Blue Dog Bakery and Lupine Pet!